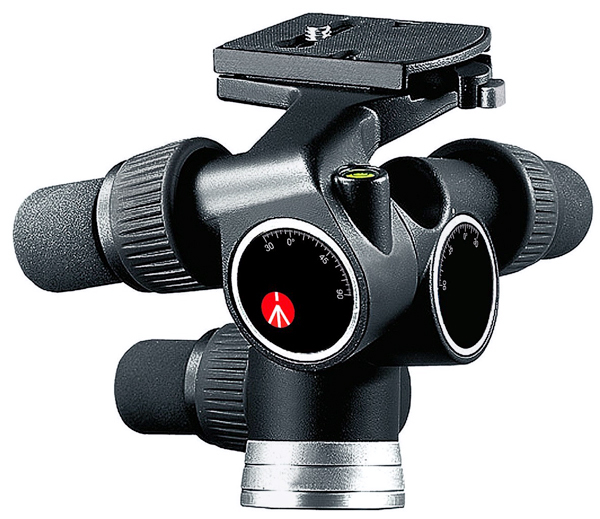 Designed especially for 35mm and medium format camera shooters who need both speed & precision, the Manfrotto 405 is a great three-way geared head with bubble levels easily seen in two axes no matter the orientation of the camera. Meaty rubberised knobs can either completely disengage the gear mechanism for a quick rough estimate of position or offer the finest exacting placement for even a macro shot. Cranks allow 360 degrees pans and +90 to -30 degrees of frontal or lateral tilt. This head rents for $25/day or $75/week. « Molly Ringwald, Vogue and Patrick Fraser!